It was great doing the Catholic Answers Live show on St. Paul from the Island of Malta. Here are the questions I answered in a very lively hour. To listen on-line listen here. To download the Podcast click here. 1. What are you doing on the Island of Malta and tell us of St. Paul’s evangelism on the island? Did he get to Malta by choice or by disaster? 3. St. Paul’s writings are so hard to understand? What can I do to better understand his epistles? 4. Why is St. Paul an Apostle when he was not one of the Twelve who spent three years with Jesus and were witnesses to his resurrection? Why is he not just a disciple? 5. My 9 year old son is working on a project for All Saints Day and he loves St. Paul. We need to know what Paul wore and how my son can best dress to resemble St. Paul? 6. Why are so few Catholic churches named after St. Paul but so many Methodists named after him? 7. Why did you call St. Peter a hypocrite earlier in the show? Over 100 adult converts to the Catholic faith, most of them Americans, have signed an open letter calling upon the Synod of Bishops to affirm Catholic teaching on the indissolubility of marriage. 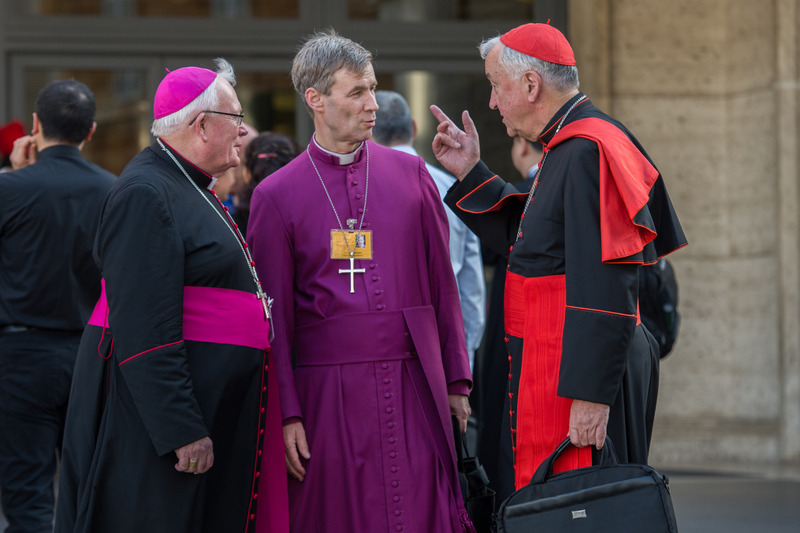 concerns about certain proposals to change the Church’s discipline regarding communion for Catholics who are divorced and civilly remarried. We are frankly surprised by the opinion of some who are proposing a “way of penance” that would tolerate what the Church has never allowed. In our judgment such proposals fail to do justice to the irrevocability of the marriage bond, either by writing off the “first” marriage as if it were somehow “dead,” or, worse, by recognizing its continued existence but then doing violence to it. We do not see how these proposals can do anything other than contradict the Christian doctrine of marriage itself. But we also fail to see how such innovations can be, as they claim, either pastoral or merciful. On Malta where St. Paul had a shipwreck. On Relevant Radio in one hour to share my adventures here. I found the fire tip of St. Paul’s Bay where tradition says the ship crashed and they scramble to shore. Lots of other things to share soon about this island and all her adventures here. Starting Friday I have 3 days of talks and conferences here on the island.